The Blazers returned to the playoffs for a second year in a row, but unfortunately ended with the same result as last season. Unfortunately, the 12 year streak without a win in the post-season will continue for at least one more year after the team lost to the York Cougars 59-12. The team entered the match with a solid game plan but York was able to win some matches that they had lost in previous match-ups, as well as win the swing matches that Ridge View needed to keep it close and have a better chance to get to the 2nd Round and face the defending 3x State Champion Eastside Eagles. 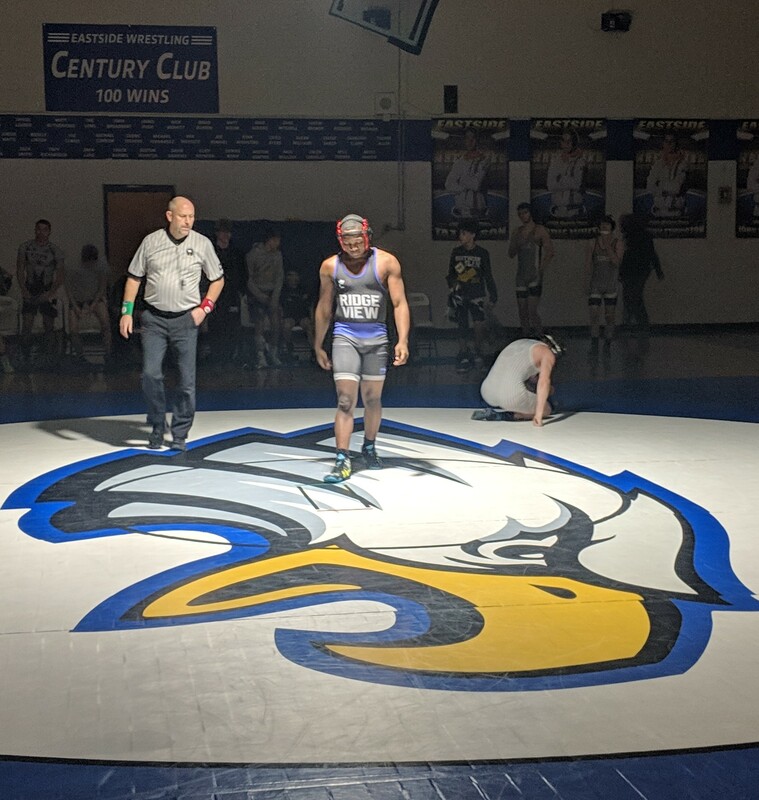 Eastside provides a great environment for wrestling with their gym that is dedicated to wrestling matches, as well as wrestling matches under a spotlight so that the focus is solely on the wrestlers on the mat! Shout-out to Brandon Holliman for preventing the shutout by getting a pin and McKale Yanagacio for being so intimidating that York forfeited to him. With the team having completed the dual portion of the season with an 11-16 record, the focus will now shift to the AAAA Upper State Individual Tournament in 2 weeks for the 7 qualifiers. The team has continued to improve their dual performance over the past 3 seasons, going 4-25 (2016-17) and 7-16 (2017-18) and will look to continue their progression next season!